The second exhibition of the series concerns the Oracle of Dodona and it lasts until 10 January 2017. The exhibition aims at providing wider knowledge about the oldest Greek oracle, tracing the way it functioned, its role and importance in the ancient world, and at the same time showcasing the human need to predict the future. 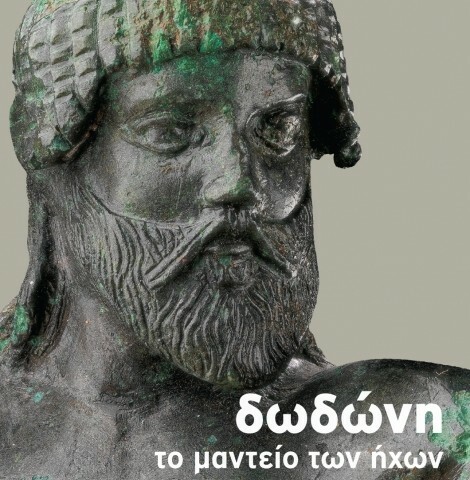 The exhibit’s narration begins with Dodona during the late Bronze Age. Clay and bronze artifacts illuminate the identity of the first inhabitants, the primitive cult of Mother Earth (Earth Goddess) and the establishment of Zeus’ cult. The main interest in the exhibition lies in Zeus and his predominant presence in the sanctuary. The central theme is the prophetic oak tree that with the rustle of its leaves would answer the agonizing questions of people of what lies ahead. Prophecies were also given by priests who de-coded the sounds of bronze cauldrons and the cooing of pigeons. The excavations conducted in Dodona have brought to light some thousands of questions carved in metal sheets of lead, posed by visitors in the sanctuary. Some of these questions concern matters of trade, debts, assets, court decisions, health, fertility, upcoming marriage, dowries and widowhood and are presented in a separate unit of the exhibition. From the dedications in the sanctuary parts of bronze statues, parts of armory, swords and part of their suspensions, dedications from those who benefited from the gods or invoked their help are also displayed. Moreover, characteristic coins highlight the political aspect of the Oracle and its connection with Pyrros, the King of Epirus. Lastly, the relationship between the city of Athens and Dodona is presented by two exhibits from the Acropolis Museum.